In many cities and towns, homeowner associations (HOAs) own and are required to maintain some of the stormwater infrastructure in their neighborhoods, including ponds, swales, check dams, shoreline plantings, rain gardens, pervious paving, and other features located on common property. Some of this stormwater infrastructure includes mechanical pollution separators that are connected to buried pipes that are accessed by ground-level covers. Municipalities hold an Operations and Maintenance Plan (O&M) on file for each neighborhood’s stormwater infrastructure, and these Plans contain the maintenance requirements for the types of facilities that were established when the development was originally under design and construction. Responsibility for these O&M plans was passed from the builder to the HOA upon completion of the development; however, many HOAs and their landscape contractors are unware of these responsibilities. Local governments are beginning to enforce these requirements since the lack of maintenance can/is having a negative impact on important local water quality and quantity management. The White River Alliance, in conjunction with local municipalities, designed the Stormwater Landscape Maintenance Training Seminar in order to help Homeowners Associations, landscape contractors, and land developers understand local maintenance requirements and how to read O&M manuals in order to avoid corrective action. The goal is to maintain properly functioning stormwater treatment facilities in order to prevent flooding, pollution, and other stormwater-related impacts. This routine maintenance will keep infrastructure costs down in the long run. This seminar includes detailed content on pond maintenance, green infrastructure and the use of native plants to address stormwater issues. Information on landscape design basics, and installation and maintenance issues associated with native plant communities is also a primary focus. Attendees will be able to interface with local municipal storm water managers that can field questions about regulatory issues and who’s responsible for what elements of stormwater infrastructure. 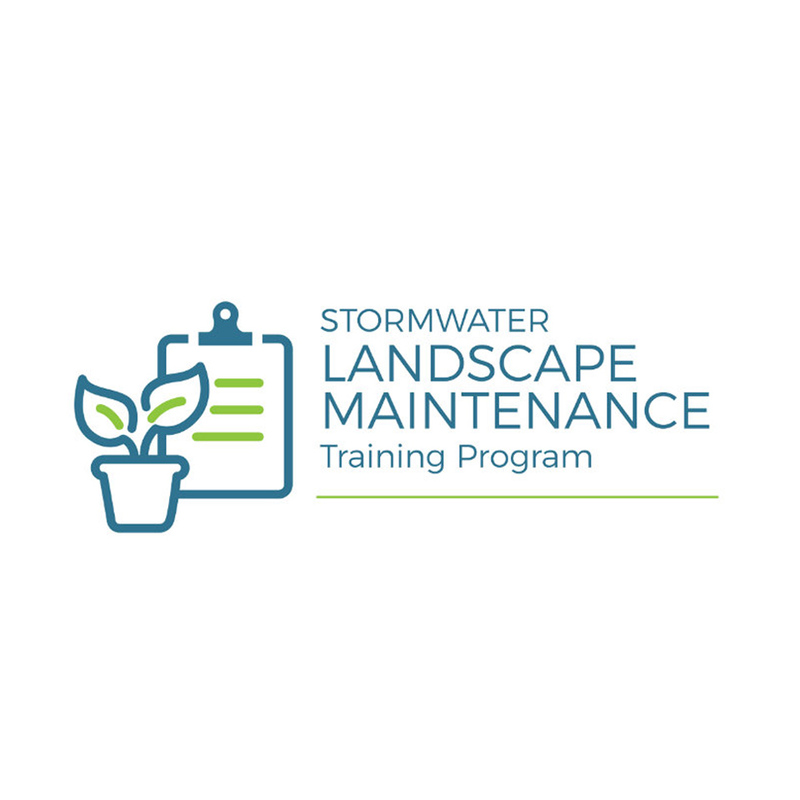 The Stormwater Landscape Maintenance Training Seminar is offered annually in early December from 8:30 am-3:30 pm. Lunch, snacks, and workshop materials are provided. The workshop typically costs less than $20. The 2018 Training will be held Thursday, December 6 at Noblesville City Hall (16 S 10th Street). Check-in begins at 8:30 am and the program at 9:00 am. Registration is available by clicking the button below. Registration closes Thursday, November 29 and space is limited. Do I have to attend this? This training seminar is not required, however understanding your responsibilities related to the stormwater infrastructure on your property or the property you maintain is vital to avoiding corrective action. While this has not been a major issue in the past, municipalities are beginning to enforce the O&M agreements signed by developers and passed to HOAs upon completion of the development. Knowing what is required and how to achieve the requirements is in the best interest of responsible parties. Enforcement may involve fines and/or required maintenance activities. HOA representatives, landscape maintenance contractors, and housing developers all share responsibility for O&M plans and should attend the training. HOA representatives can use the attendee list to determine if their maintenance contractor is aware of requirements and landscape Best Management Practices. At this time, there is no required certification to perform landscape maintenance or mechanical maintenance on stormwater facilities. How do I get a copy of my neighborhood's O&M manual? Contact the stormwater administrator for your municipality.